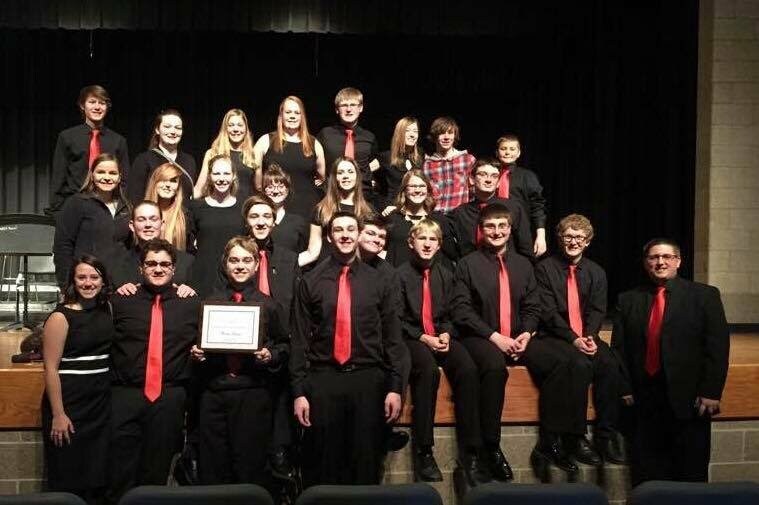 The Earlham High School Jazz Band earned 1st Place in Class 2A at the South Central Iowa Bandmasters Association Jazz Festival on Saturday, December 10th. The festival was held in Winterset and included bands from Roland-Story, West Marshall, Central Decatur, Woodward Granger, Des Moines Christian, and Ogden. Outstanding soloist certificates were awarded to Grant Becker (guitar) and Austin Griswold (Alto Saxophone). The results of the SCIBA Jazz Festival earned the Earlham Jazz Band a spot in the 2017 Iowa Jazz Championships on Tuesday, April 4th in Ames.